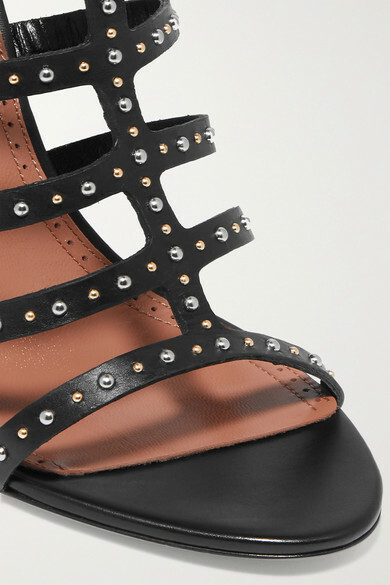 Alaïa's sandals showcase the incredible attention to detail the house is famous for with a series of hand-applied studs. Set on a slim 95mm heel, this pair has been expertly made in Italy from smooth black leather and has a handy back zip. Wear them with a fresh pedicure.